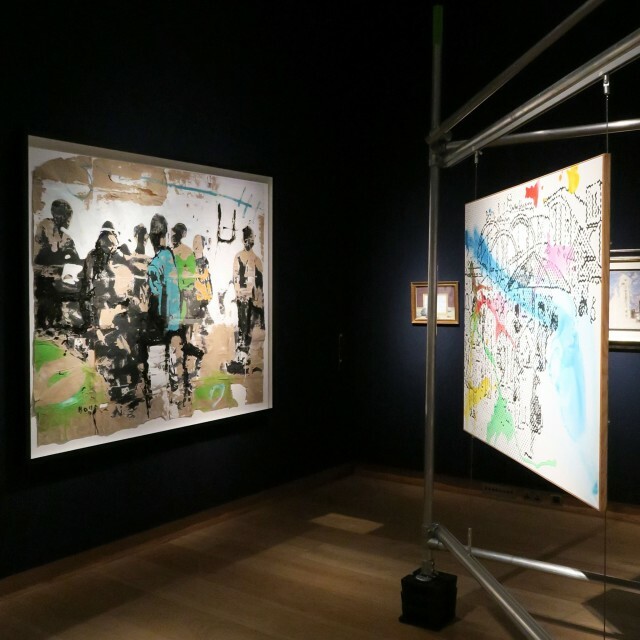 Group exhibition entitled 'Past Perfect / Future Present', Christie's King St, London. Including works by Sigmar Polke, Rubens, James Balmforth and Armand Boua, 12 - 16 June 2015. Past Perfect / Future Present is a free exhibition curated by four young Christie's specialists that showcases an extraordinary juxtaposition of art across the ages alongside innovative and new media work by four emerging artists. Recent works by James Balmforth, Armand Boua, Olga Chernysheva and Harry Sanderson will be displayed alongside objects old and new: a masterpiece of Baroque portraiture by Rubens, Lawrence of Arabia’s own dagger, given to him by King Faisal, the striking components of a working Spitfire airplane, as well as stunning pieces by modern masters including Henry Moore, LS Lowry and Sigmar Polke. These works will be presented in a new context with a dramatic restaging at Christie’s King Street, allowing the visitor to admire and compare talent and innovation from artists throughout the centuries.